The next generation of pond water clarifiers! 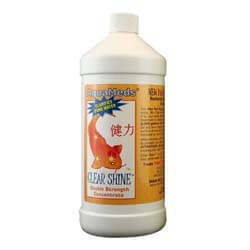 New double strength Clear Shine treats three times as much pond water as other brands. Restores your pond water to a brilliant shine and increases the efficiency of your filter.